You pour the pellets into a holding bin or hopper, which is located either at the top or bottom of the unit. Hoppers typically hold from 35 to 130 pounds of pellets; the larger the hopper, the longer an unattended stove will burn. Depending upon the rate of burn and size of the hopper, most stoves will operate from one to two days on a single load of pellets. 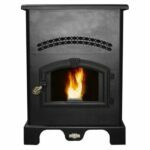 Most stoves have an auger that delivers pellets from the hopper to the combustion chamber. 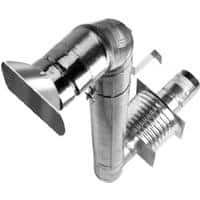 The auger’s movement is operated by a solid-state control that is set manually or, with some stoves, by an optional wall-mounted thermostat. A fire’s size depends on the rate of feed. Pellets delivered at 1 pound per hour will produce a gentle, glowing fire that will last a long time. At 5 pounds per hour, a pellet fire will be ablaze. The pellets are fed to a fire pot or burner ring in the combustion chamber. Combustion air is blown into the chamber to encourage a super-heated flame. You must light some pellet stoves; others are self-lighting. If they’re turned off, or if the power fails, they stop burning. 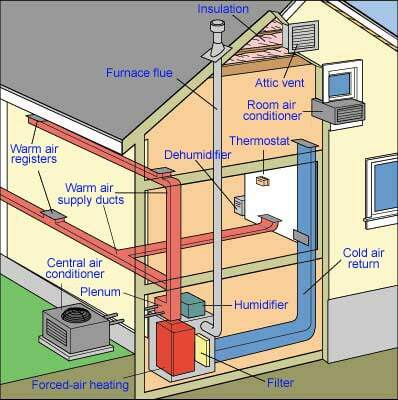 Room air is drawn in by a fan and blown across the heat exchanger, which is heated to about 250 degrees F., and the warmed air is returned to the room. 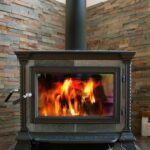 Unlike wood stoves, pellet stoves rely on convective, not radiant, heat. As a result, most pellet stoves don’t get too hot to touch—an important consideration for families with small children. This also means a stove may be placed closer to combustibles such as walls (most have a minimum clearance of 3 inches to side walls, 1 inch to back walls). They do, however, need to stand over a minimum 3/8-inch-thick non-combustible floor such as tile. 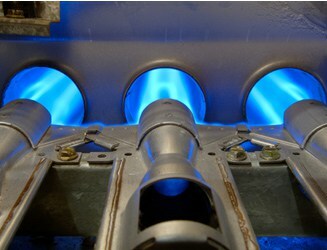 Residual combustion gases are vented outside, normally through a 3-inch flue that exits out the unit’s back or top. Some have an interchangeable top/rear vent. 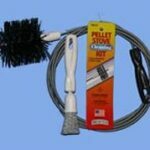 Pellet stove venting kits can be purchased online or from pellet stove dealers. 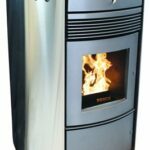 Though most pellet stoves don’t require a conventional chimney, saving you from considerable expense and design inflexibility, most types draw better if the flue goes out through the wall and turns upward. For safety and soot control, it’s wise to extend the vertical section past the eaves.